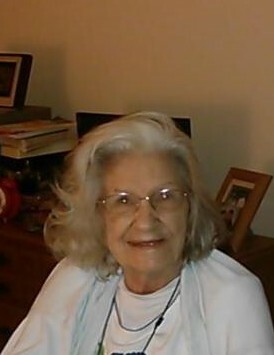 Kinard, Eugenia, age 94 of Ocala passed away on September 8, 2018 at Brentwood at Fore Ranch. She was born on January 13, 1924 to Arthur and Sophie Starling in Newberry, FL. Her family traveled around with her father while working for the railroad and eventually settled in Dunnellon. Eugenia worked as a Nurse’s Aide. For many years Eugenia taught Sunday School at First Baptist Church of Ocala and also was part of the Signing Ministry during services. Eugenia is survived by Daughters, Barbara Stein (Greg), Sharon Williams(Wayne), Sandra Poupard (Tom), and Son, Robert Kinard (Donna). She was pre-deceased by her Husband William and a Son Billy (Pam). A Graveside funeral service will be held for Eugenia at Forest Lawn Memory Gardens on South Pine Ave. at 1:00pm on Saturday, September 15, 2018. The family will receive friends starting at 11:30am on Saturday at the Roberts of Ocala Downtown Chapel.